Timeclock for Sandbox Child Care Software is Coming Soon! As many of our customers already know, we’ve been hard at work developing a Timeclock for Sandbox Software. It’s taken us longer than we had hoped, however we’re excited with how the Timeclock is working now and feel that it will be a huge asset for child care centers who are using Sandbox. 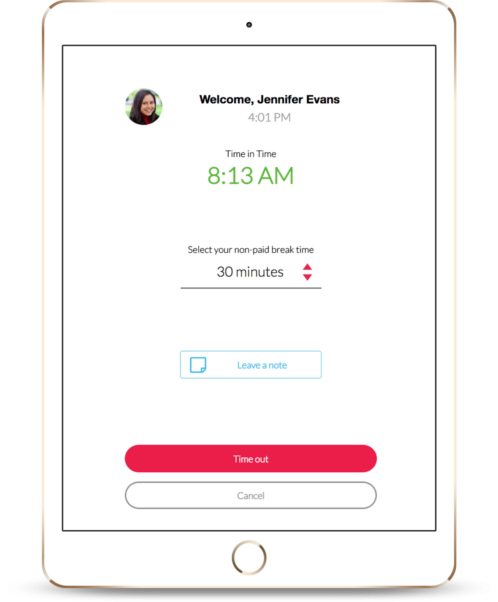 In fact, we already have a number of of our childcare and preschool clients who have been working with a BETA (pre-release) version of the Sandbox Timeclock and the feedback we’ve been receiving is that child care owners, staff and parents alike are all loving it! Timeclock for Sandbox will run on touchscreen computers and tablets such as the iPad as well as regular desktop or laptop computers. In the meantime, here’s a sneak peak of what’s coming and how Timeclock will work. Parents and Staff will sign in with their own Passcode and Initials. 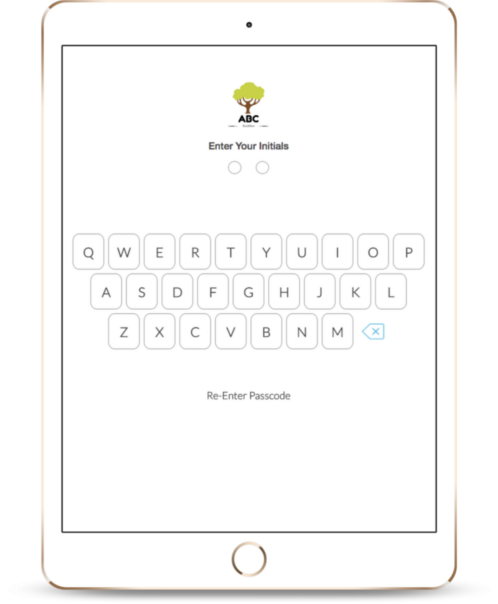 If passcodes haven’t been setup yet, they can be quickly and easily setup by clicking ‘Create Passcode’. 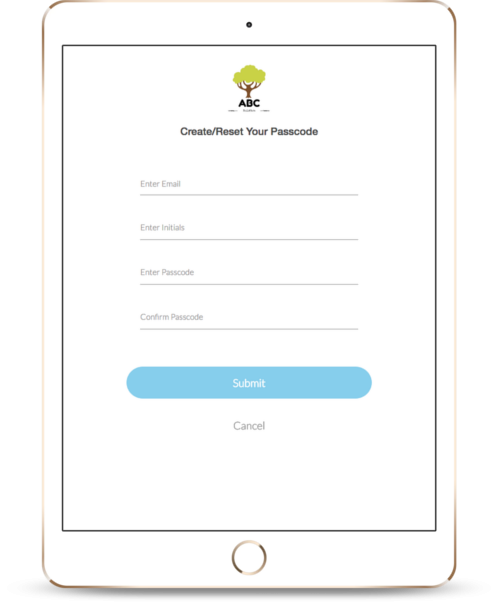 The user will be prompted to enter their email address, initials, and setup their passcode. 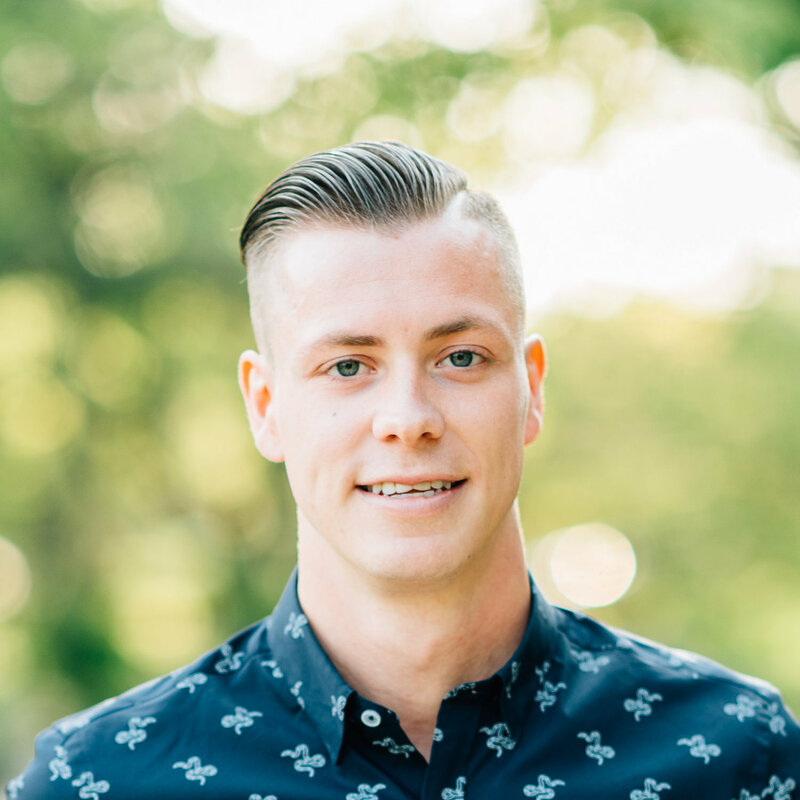 Once they click submit, Sandbox Software will run a check to make sure that the email address and initials match up with a parent or employee at the center. If it matches with a parent (or contact), then the software will also check to confirm that the parent or contact is an authorized pickup. 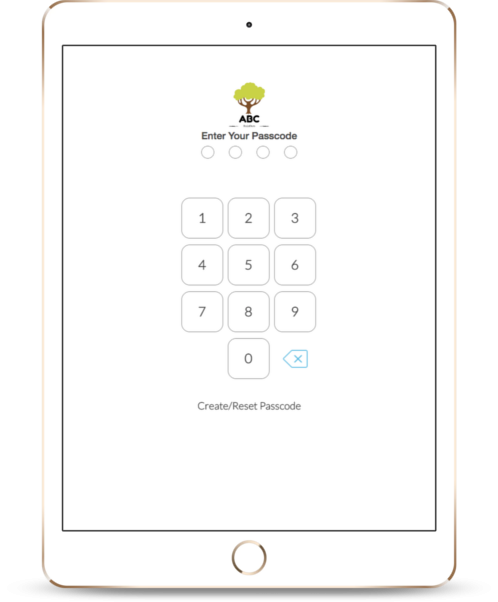 If this is also successful, then the passcode will be created and the parent or employee will be able to begin using the Timeclock immediately. When a parent or contact times in, they will see the child(ren) that they’re authorized to dropoff/pickup. 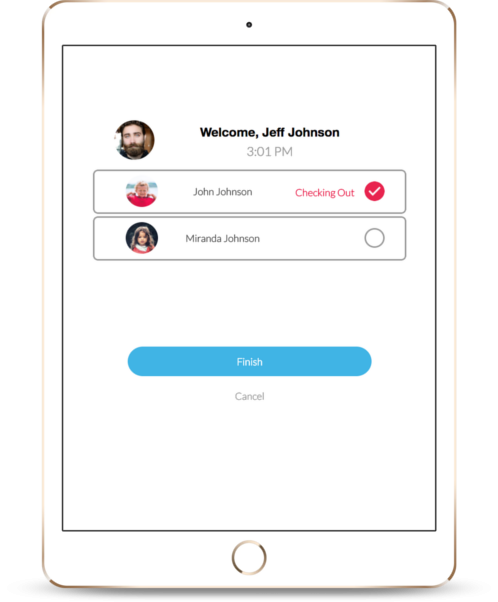 Clicking “Check In”, and then “Finish” will time the child(ren) in to the center and the information will also be logged in the child care software. At the end of the day, the parent or contact will be able to time the child(ren) out. Once again, this information is pushed into Sandbox so that the attendance for the day is automatically tracked, and can be reported on by the child care center. When staff at your child care center clock in, they will see a ‘Time In’ button. After clicking this, they will timed in. When they leave at the end of the day, they will see their Time In time, and will be able to select for any unpaid break time used during the day. Once again, in/out times as well as breaks will be automatically tracked in Sandbox so that they can be reported on for payroll. 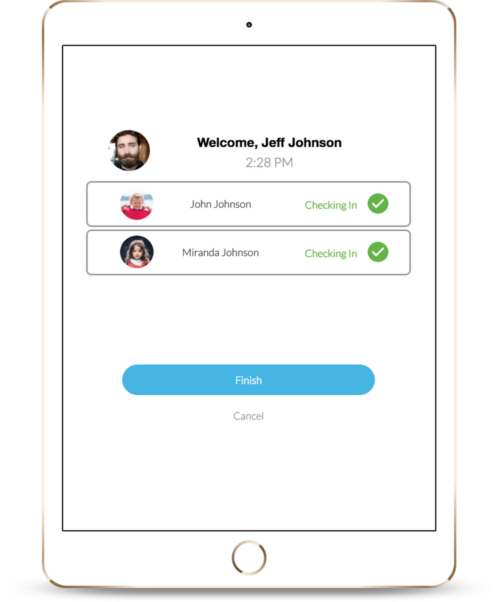 We have more exciting features that will be included with the full release including the ability for parents to receive a notification email when their child(ren) are signed in/out and by whom and the ability to add notes that will show up in Timeclock for parents and staff. Timeclock for Sandbox will be released shortly and, as always, it will be a free upgrade for all of our customers!